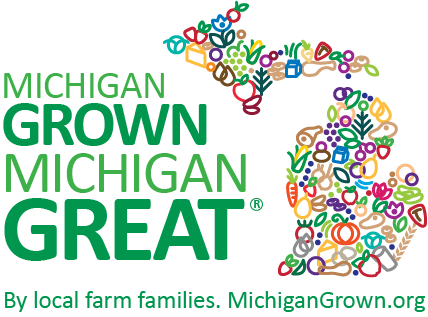 Work-life balance: Motherhood and farming | MICHIGAN GROWN. MICHIGAN GREAT. Not that the three have large gaps in significance, but let’s face it moms – being a mother changes everything. In an instant you become the center of another human’s universe. The keeper of the Cheerios, nighttime story reader, lunch packer, laundry doer, grocery shopper. Two years ago a little human came into my life and it didn’t have to be explained to me that I was her number one caregiver. (Yes, she has a father and he’s a wonderful, loving daddy, husband and farmer, but dad isn’t mom in our household.) 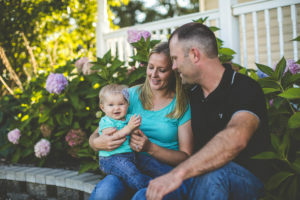 That’s when my full time farming career took a back seat to my new full time career as a human caregiver – or motherhood. I still work full time on the farm, just my days have hours now. I need to be home at 6pm (most nights) and typically I can’t work ‘til midnight like the rest of the guys. Before this human entered the world I worked “farmer hours” – when the weather is right, you go until the job is done. Sun up ‘til sun down was what my grandparents did but now we have lights on our tractors and 16+ hour days are not uncommon). Holidays and weekends are meaningless during planting and harvest seasons. Now baby No. 2 is coming. We are over the moon with excitement, but our first child came in December (perfect timing for a farmer to have a baby), and baby No. 2 is due to arrive May 18 – right smack in the middle of planting. Now the farm will replace me (and it breaks my heart that I’m replaceable, but that is the truth) and I’ll survive being a temporary single mother of two, until dad gets his farming done. Life has changed. 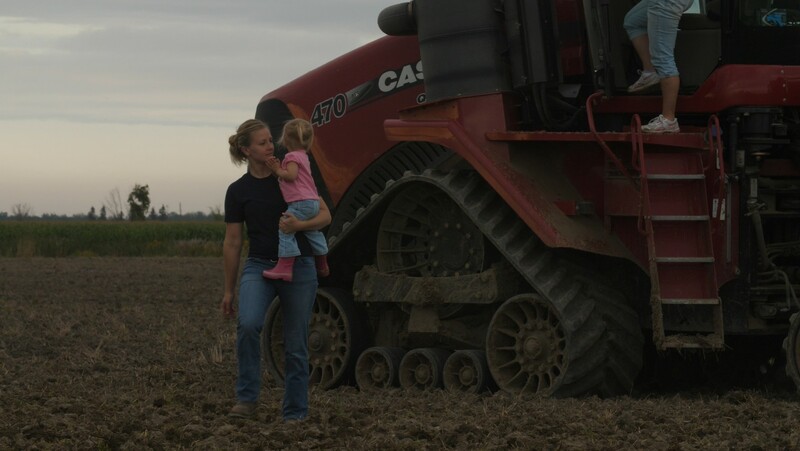 Pre-motherhood, I was the one who planted all the corn, loaded all the sugarbeets, ran the sprayer and hauled grain. I did everything the guys did on the farm and loved it. Now, some nights I’m able to work late (thanks goodness for my awesome babysitter) or pick the little one up and take her with me in the tractor for a few hours. But as it turns out, kids need dinner and baths and a schedule. A “farmer’s schedule” doesn’t work for them. I have humans relying on me for survival and I can’t commit the time I used to to the farm. There are only so many hours in a day. So the jobs have changed. I switched to more of a clerical role. I’m in the office much more, which allows me to work more “normal” daytime hours or I do something that someone else can switch with me at night. My farm family will pick up my slack, ‘cause that’s what we do. Everyone I work with recognizes the importance of motherhood and we help each other out – it’s what family does. Farming and motherhood do have perks! I’m self-employed. I can work from home, or take my kids with me in a tractor for a few hours; and when it rains on a Tuesday I can stay home and spend it with my kids. That is the reason I chose to farm. To be close to my family. To watch them grow up and take them with me to the field. To let them work with grandma and grandpa and have different generations grow something together. Rita Herford, grew up on her family farm in Huron County. After graduating from MSU with a degree in Crop and Soil Science and Ag-Business, Rita returned home to her family farm to farm full time. 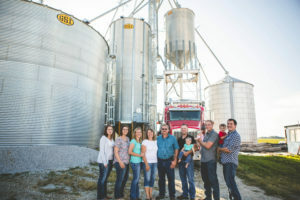 She and her family raise sugarbeets, corn, wheat and dry beans. She married a farm boy, who raises crops and cattle with his family. Together they have a 2-year-old girl and another child on the way. Photo credit: Aberro Creative.